Tom Hurwitz, ASC, is one of America’s most honored documentary cameramen. A guy who loves to court chance, Hurwitz started out in documentaries, moved into feature and commercial work, then returned to documentary cinematography nearly 25 years ago. During that time, he has put himself in hundreds of situations that have relied on both his willingness to take chances and his ability to have a camera pointed at the right place at just the right time to capture the powerful and the unexpected. Hurwitz’s work extends from “Frontline,” “Nova,” “American Experience” and “American Masters” to “Cathouse: The Series,” from “Paul Taylor: Dancemaker” and ‘Valentino: The Last Emperor” to “Ghosts of Abu Ghraib,” “Killing in the Name” and the Oscar-winning “Down and Out in America.” His latest project, “The Queen of Versailles,” had its world premiere at the 2012 Sundance Film Festival, where the film won best directing honors for Lauren Greenfield. Magnolia Pictures opens the film, about a billionaire couple’s failed dream to build the largest private home in America, in New York and Los Angeles July 20 before expanding it nationally throughout August. We are an odd lot, we camera hands of the documentary. Some of us have been guided by a passion for filming reality from the moment that, as kids, we picked up a camera and followed in the footsteps of elders such as Albert Maysles and Richard Leacock. 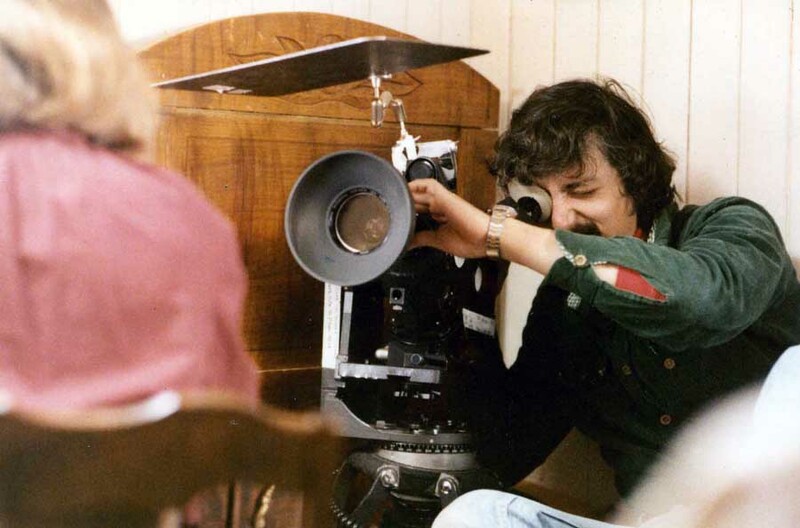 Others of us, taking the route of one of my heroes, Haskell Wexler, turned back from our achievements in the big-crew world toward the more intimate challenges of cinema vérité. But however we arrived in our present corner of the cinematographic world, a couple of generalizations pertain. There aren’t many of us. We love the challenges of new people, new places and new stories about real people and ideas. We love chance. It might seem odd that a group of DPs — people devoted to producing beautiful images that tell stories — are so devoted to the unexpected. Shouldn’t we curse each change of plans, grind our teeth each time our perfect shot or lighting job is disrupted by the real world not hitting its marks? Someone once tried to explain the difference between documentary and narrative photographers by likening my kind to jazz musicians. The classical musician can interpret, but is bound by his score (the script and the shot breakdown for the DP) and the direction of the conductor (the director). The jazz musician, however, is given merely a subject, a musical line and a rhythm around which to improvise. In the same way, we documentarians are handed a developing scene to shoot and the (pre-discussed) style and theme of the film, then turned loose on life as it happens. Our job is to show you reality through our eyes — by improvising. Improvisation is our daily bread. For example, we are driving in a caravan in the backcountry of Sumatra. We expect that the politician whom we are following is going to pull up into a quiet, sleepy village of former headhunters and show the clash between arrogant politicians and humble rural people. We drive like madmen on the jungle track to get to the village before the Land Rovers and Hummers of the bigwigs do. Humble, sleepy village? We find first a bamboo arch welcoming us, then a thousand people in two ceremonial lines all dressed in their feathered finery and crazy colors, lined up by clan, looking expectantly at us. There is a moment of hesitation. Then they begin to sing and play drums, flutes and gourd instruments, each clan singing a different honoring song… to us. What to do? Rethink the scene in the two minutes before the Big Cheese arrives. Improvise. The scene we got was vastly more effective in making our point than the one we imagined. In our documentary work, we are not always that lucky, but things always change. And what we shoot is almost always better than what we can dream, because it is real. Real is best. However, real does not mean chaotic, messy or inarticulate. In fact, our job is to come into a whole world of chance, a scene of a family fight in a house full of children, for instance, or a massive demonstration in the streets of a Middle Eastern city, and film it so that it makes sense. Not only must it make sense, it must work in the arc of the film we are making. Not only must we get the important shot, the one that tells the story, but it must also be visually strong and even beautiful. We have to approach each scene we shoot as much like a chess player or a jazz musician, planning ahead as many moves as possible, seeing all the possible options. What would a pan do here? Should I move to shoot my subject silhouetted against a window, or reveal her face? When should I reposition to see another side of the conversation at the table, and should I do it gracefully so that my move can be used, or speed there as fast as I can? To mix metaphors further, we are using our skill, our experience, our design sense and our intuition to improvise a trap for the chance occurrence. Does it just happen in front of our wide-shot and “get away” from us? No, our job is to make a shot that has meaning and power so that the scene is really photographed, trapped in the drama of the film. After 30 years spent doing this job, I feel like I have learned something. Much of that has simply taught me how much I have still to learn. However, I have acquired some experience that adds up to a quantum of wisdom, which may benefit a rising cinematographer. So here are four key suggestions that have served me very well over the years. As counterintuitive as it may seem, hearing is just as important as seeing for the documentary cameraman. While you are shooting, every bit of information about what is going on outside the frame comes to you through your ears. It may seem odd to admit, but it is the rare cameraman who really hears what the subject of his/her close-up is saying. And I don’t mean just hearing. I mean thoughtful listening. You are shooting a conversation between two people. Is the subject that is speaking about to finish? Has the person said something that is going to make the other subject react? Does the listener change her breathing rate? It is time to pan from one to the other? Is the conversation getting more general? It may be time to drop back for a wide shot. Even in an interview, when there is a great temptation for the cameraman to zone out, the subject is going to tell you, by word or tone, when to go close, when to widen your shot. There is nothing like being in the close-up for the moment when the unexpected tear appears… It is our job to expect it. The hard and unforgiving truth about documentary photography is that the odds are against anything really good happening twice. So we must get it the first time. If it does happen twice, we should be filming it both times, with different frames. Sometimes this means taking risks or pushing limits. It can take a career to learn when to push and when to step back. In a combat situation, one’s life can be in the balance. In less lethal environments, one’s ability to continue filming may be at risk. When I was filming David Siegel, the billionaire father of the family of “Queen of Versailles,” we were prohibited from filming in his home office while he was there. The financial straits of his businesses more and more depressed him. His room was his refuge. He would retreat there, surrounded by boxes of business papers, going over them while Fox News played on the huge TV screen. It had been a particularly tense day for David, followed by a tense evening with his wife and children. Lauren Greenfield, the director, ventured in to talk to him. Since he was facing away from the door, I crept behind him and filmed him from behind as he talked to her. Her questions became more probing, turning into an interview. He began to answer them openly. As he began to discuss whether he might lose everything, I moved quickly, but as smoothly as I could, to stand next to Lauren. There he was, lit by the one lamp in the room, speaking his heart. Was he going to be furious that I was in his office filming him? Would he kick us out, as he had done before when we walked in, blowing the moment? Would we rupture our relationship by invading his inner sanctum? I made a bet that he was too involved in unburdening himself to worry about me. I thought we had a good chance… and we did. We got one of the key moments in the film. The most general mistake made by my students at the Graduate Program in Social Documentary at the School of Visual Arts is hesitancy — hesitancy in where to point the camera, what their frame size and composition should be. A student is filming a demonstration by Occupy Wall Street. Rather than imagining the frame that she wants to compose and then turning on the camera and holding the shot, she equivocates. She adjusts the frame, or searches around for the right composition while filming. When she finds it, she doesn’t hold it long enough to make a good cut. Find your frame and hold it. The three points above are hollow if you don’t understand the action of the documentary scene you are filming. This may seem obvious, but it takes a lot of thought, and discussion with the director, before you turn on the camera so you understand how the scene that you are shooting fits into the concept of the film. While filming the upcoming “Koch,” I caught former Mayor of New York Ed Koch walking through an election-eve party. He is a major celebrity to his fellow Democrats, and homage is paid as he passes the great and small, flesh is pressed. But the film knows that he is basically alone, a lonely man. The director, Neil Barsky, has talked to me about this, thus I shoot in a way to emphasize his singularity, his lack of deep connection to other people at the various parties through which he passes. At the end of the night, he walks by himself down the corridor to his apartment, a bent old politician. Your photography can be strong and full of meaning or merely coverage, based on understanding the action and where it fits into the film. If you use my suggestions, I can’t guarantee that you will succeed. There is a whole world of things to learn, and it takes about as long to become a good cinematographer as it does to become a good surgeon. (The competition is worse, too.) However, I can assure you that they will make your work better. We documentary cinematographers have chosen a job that is among the best in the world. Listen! Seize the moment! Commit! Know what is going on!